What skills do you use inyour psychic readings? I am a natural clairvoyant and interpret what I see and hear with the assistance of my guides as well as calling upon the angelic realms. I also use both tarot and Angel Cards or even my Crystal Ball if they are your preferred methods. The choice is yours. Hello, and welcome to my website www.tarotlaura.co.uk . I am an internationally known psychic and tarot reader offering same day psychic and tarot email readings and it is my intention to help to light your path ahead, whether you need a guiding hand through a psychic tarot reading or a little extra help through healing or relationship work. My online psychic tarot readings are carried out very quickly, my £15.99, £24.99 and £29.99 readings are available as same day psychic readings when ordered before 2pm monday-friday. Noon on saturday*. All other psychic readings are carried out as quickly as possible, normally within 24 hours. I have been carrying out pure psychic, and psychic tarot readings for many years now and more recently by email. Please click here to order a 3 card reading, a 5 card reading or a 7 card tarot reading. Please note Health Questions (including pregnancy) cannot be answered by email. *SAME DAY PSYCHIC & TAROT READINGS £15.99, £24.99 and £29.99 before 2pm Mon-Fri. *Saturday 12 noon, not sundays and bank holidays by arrangement only. Or click here if you are ready to order your tarot or pure psychic reading now. Being a natural psychic, with experience of life helps me to identify with you and your problems, and each person is treated as an individual and your psychic reading will be as individual as you are. I have studied the tarot in great depth, and I read on a very psychic and intuitive level. I hope to be able to guide you with one of my psychic tarot readings very soon! If you have questions on your mind please come to me for a sensitive and accurate psychic reading. Psychic tarot reading and psychic reports online and by email. All completed by genuine, caring and trustworthy UK psychic tarot reader and clairvoyant. I am a natural clairvoyant, I work alone and from home to bring you a genuine, caring and confidential service all year round. I have been carrying out readings for many years using my many decks of tarot cards, pure clairvoyance, as well as using the wisdom from my spirit guides and angelic energies. My readings are aimed at giving you guidance for the way forward, advice and support, as well as giving you insight into your situation. I take great pride in my clairvoyant readings, this is not a job to me is very much a way of life. I have worked as a genuine professional and full-time clairvoyant for many years. There are various readings available, just take a look at the readings page to see what these involve and make your choice. Readings can be sent by post if there is your preference otherwise it will be sent direct to your e-mail. 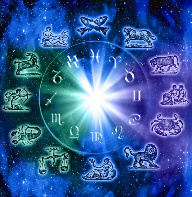 if you are on this page as you are wondering whether to ask about a reading or healing, then I can assure you of total confidentiality, a kind and sensitive response to your query, and a practical and realistic suggestion or advice for the way forward. I am also very approachable :-) and not easily shocked! Genuine help for those in need. Psychic tarot readings are available to order online and you can place an order, ask your questions,and..pay securely online. 3 question psychic or psychic tarot reading. Same day readings now available,£15.99, £24.99 and £29.99. Or for your reading within 48 hours the mini reading is £13.50 and 2 question £19.99. Psychic Tarot Readings are normally all carried out within 48 hours, but at times there can be delays as I work alone and my readings are individual and not computer generated. You will be advised if the wait will be longer for your reading, but I will always do my best to get your reading to you as quickly as possible.